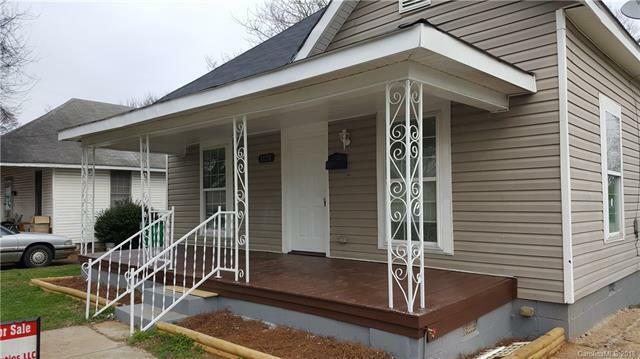 3120 Boyd Street, Charlotte, NC 28208 (#3377019) :: Robert Greene Real Estate, Inc. The house is located near uptown Charlotte and has easy access to I85, the uptown area and bus lines. It's located in the up and coming Lakewood neighborhood and is only a few blocks from the Smallwood neighborhood where houses this size are already selling in the $200K range. The house as mentioned is close to uptown. This is a great opportunity for investors or a family to capitalize on what we believe is a transitional, up and coming neighborhood. There is a nice view from the front porch of the uptown skyline. New carpet has been installed in the bedrooms and laminate in the living room, hallway, kitchen and the day room. There is a spacious back yard and a new deck has been added at the rear entrance. The spacious back yard is ideal for cooking out and can be used as a large play ground or a recreation area. Storm doors have been installed for the front and back doors. Offered by Henry Suber Properties. Copyright 2019 Carolina Multiple Listing Services. All rights reserved.